This amethyst and sterling silver pendant has a pretty giraffe texture. 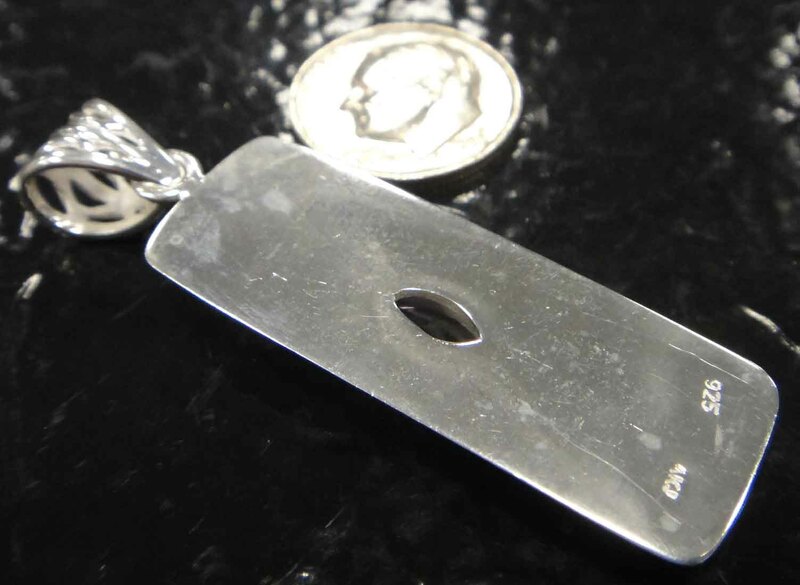 This pendant is rectangle shaped measuring approximately 1.9” long including the bail (loop for chain) by .5” wide. 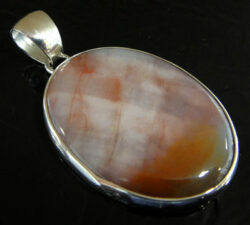 This pendant features a large bail (loop for chain) and would work well with most chains (not included). 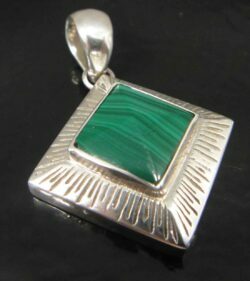 This pendant would also make a great focal bead for your own unique necklace design. 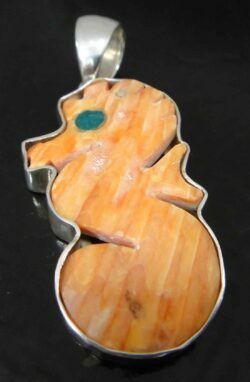 This pendant makes a great gift for any interested in amethyst, giraffes, or unique artisan handmade jewelry. 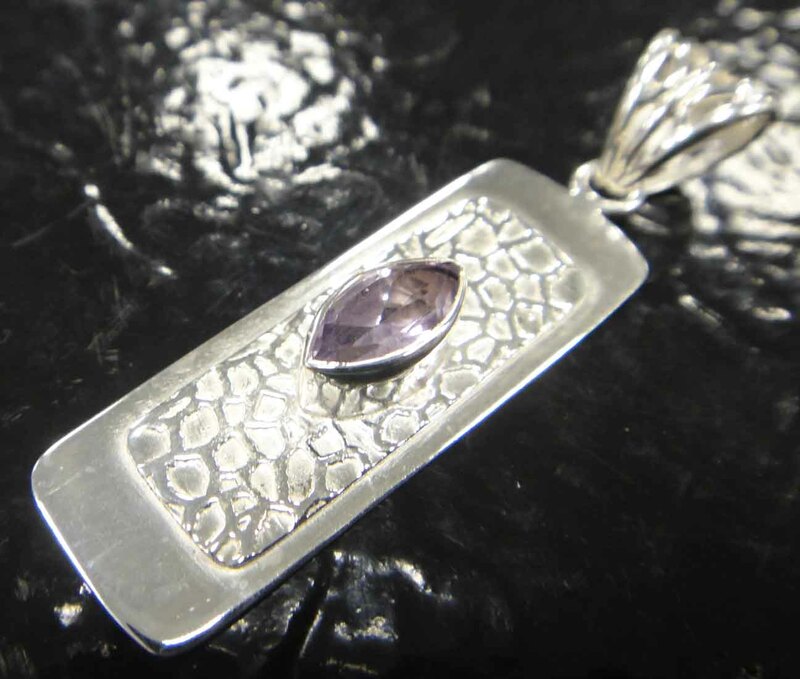 Don’t forget that amethyst is the birthstone for February, making this a great gift for anyone born in February or with someone special born in February. 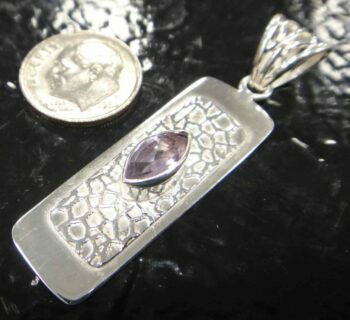 This pendant was designed by jewelry designer Anna King, and is stamped on the back “AKJ” for Anna King Jewelry. 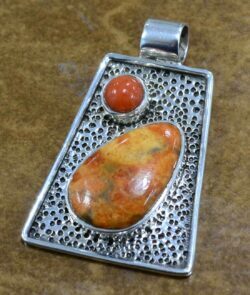 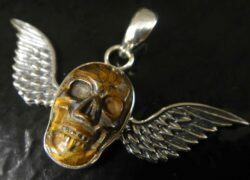 This pendant is also stamped 925 so you can rest assured all metal is genuine sterling silver. 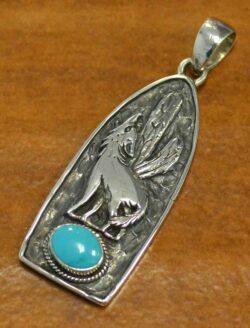 This brand new pendant comes with our original store tags and a gift box.